Abbracci Group is an unconventional HR consulting group that provides precise diagnostics and assessments. Through these diagnostics, we will determine whether you need us at all. If you do, we will create a specific plan to address the most important needs you have–and we are diligent about sustainable solutions. We want to solve the problem the first time so you don’t need us again (unless, of course, you have a new opportunity!). Ideas are nothing if not executed. We create action plans, follow through until all the actions are executed upon, and measure the results. We are crazy like that. Good is the enemy of great. We challenge the status quo of the “average employee” and the status quo of “good business results.” We expect greatness. Enough said. We have much respect for the HR function, and we want it to break free from its personnel chains. We can enhance its reputation and establish best practices that will impact the company’s talent (and bottom line). Sugar coating a company’s flaws only leads to cavities. We will tell it to you straight: where weaknesses lie and how a strong talent strategy can make all the difference. We don’t tell you what you want to hear. No BS. A rope is strongest at its knot. And together, employees and employers should be gathered together by purpose. An authentic, genuine, transparent purpose. We are passionate about one thing: be the best version of yourself. That makes the best version of a company. Success is then inevitable. An empowering book for ambitious HR professionals who want to maximize their impact on their organization’s culture and bottom line. Heck, we know Human Resources gets a bad rap. With equal parts warmth and grit, the straight-shooting authors exhort readers to break free from the limited expectations that drag their profession down, and take CHARGE of their role to benefit their organizations and careers. An HR Warrior® is courageous, humble, accurate, resilient, goal-oriented, and exemplary. 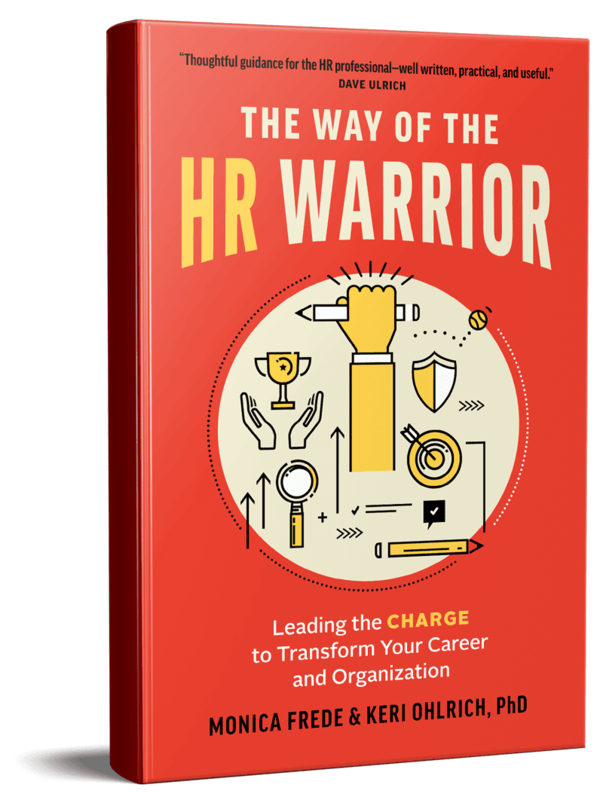 By implementing this CHARGE framework, ambitious HR professionals can seize their potential and develop the qualities essential to being an effective HR Warrior®. This funny, no-nonsense, and practical book aims to inspire an HR revolution. We are excited to work with you and make a difference. Look forward to connecting with you!